Brought to you by a writer of the best-selling CUPCAKE DIARIES series...The JUNIOR LIFEGUARDS series is wholesome summer fun! Mayday, mayday, five souls on board! 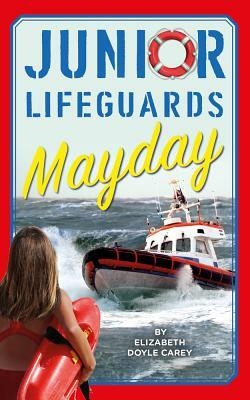 When the Junior Lifeguards encounter an emergency at sea, they must act fast to save lives. Junior Lifeguards are #brave and #strong. Join the squad! Elizabeth Doyle Carey is a former book editor and bookseller. She is the author of 36 books for young readers including 15 titles in Simon & Schuster's Cupcake Diaries series, 6 titles in Simon & Schuster's Dear-Know-It-All series, 3 titles in Simon & Schuster's forthcoming Sprinkle Sundays series, and 4 titles in The Callahan Cousins series (Little, Brown). She lives in New York City.